Sense Cyclone 150W Sub Ohm Tank, comes with two coils suitable for sub-ohm vaping up to 150W, with its latest design and performance of e-liquid control system which supplying vapors with the best experience! Sense Cyclone Sub-ohm Liquid Control 5ml 150W Tank, comes with two coils suitable for sub-ohm vaping up to 150W. The two coils (pre-installed 0.6ohm and spare 0.2ohm) create different vaping experience of sub ohm vaping, providing you with the best experience ever! 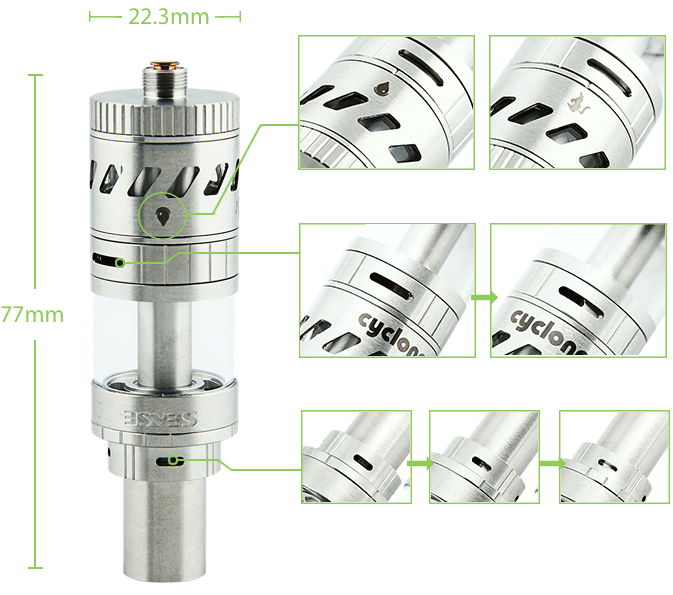 Cyclone is the latest and advanced sub ohm tank released by Sense technology. 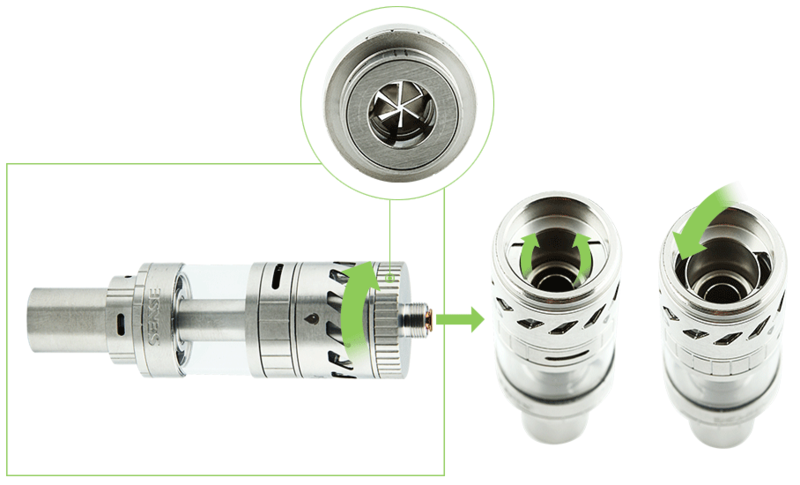 It has all the features that you could ever want in a sub ohm clearomizer. The high specs like 5ml tank, liquid control system, TC rebuildable atomizer heads and sub-ohm vaping up to 150W make Cyclone a must-have for any serious vapor cloud chaser. Sub ohm Cyclone tank handles high wattage while still provides cool pure flavor. 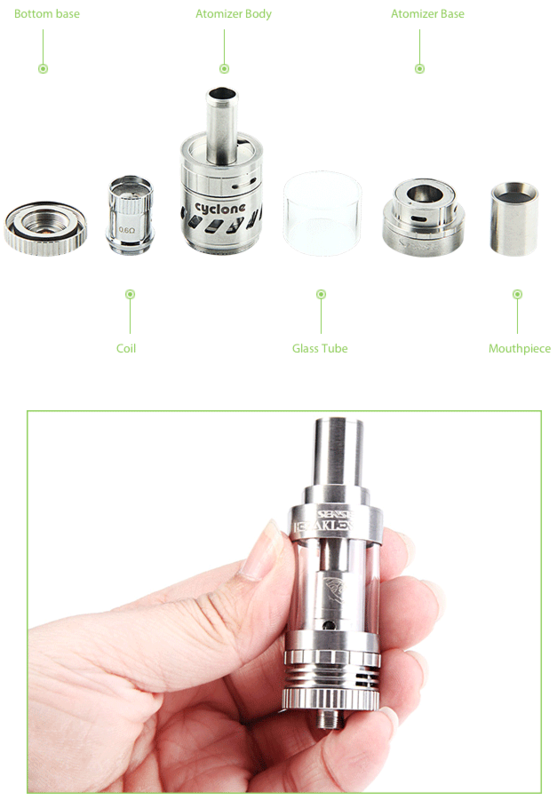 The tank is compatible with mods ranging from 50W to 150W. Meanwhile, its cooling system of separate airflow intakes greatly lessens the degree of hot vapor cloud and mouthpiece to a biggest extent that brought with high wattage output. Besides, the phenomenon of annoying liquid popping into mouth never happens on this Cyclone tank after many testing experiments, because of its effective splash proof system. In addition, the top filling system of the two holes makes refilling hassle free. Constructed with solid high grade stainless steel, Pyrex glass and a copper 510 thread contact, it’s sure that this superior Cyclone could stand the test of time. Its copper atomizer contact pin makes a best connection to a battery or a mod. All of the above integrated features and superior quality would surely make Cyclone make a splash in the vaping world. 1. Turn upside down the cartomizer, and close the liquid control switch off from the bottom. 2. Use the syringer or dropper to fill less than 5ml e-liquid into the space between the glass tank and the center metal tube. Do not overfill it. 3. Open the liquid control switch on and let the e-juice flow. 4. Start using from 50W and increasingly turn wattage to 150W. 5. Follow the above steps to re-fill your tank. 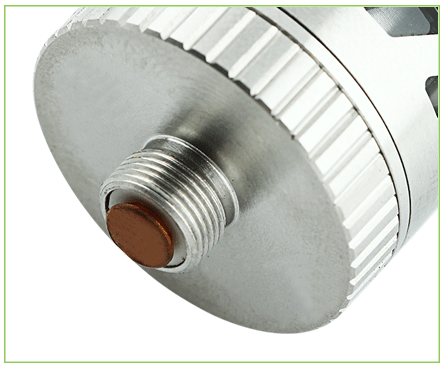 You can rotate the airflow control valve to choose the most comfortable one. It’s compatible with 510/eGo threading batteries. It’s an empty cartomizer, you still need order e-juice e-liquids to use it.